The biggest test for any emerging democracy comes when the “party of liberation” faces electoral defeat. Some countries – like Zimbabwe – have repeatedly failed that test. Robert Mugabe’s Zanu-PF has done whatever it takes to rig every election to stay in power. Others, like Zambia, have changed governments several times, relatively peacefully, through the ballot box. Unfortunately, failed transitions to democracy on our continent have outnumbered the successes. Which list will South Africa join? Till now, I have been confident that we would count among the successes. In fact, the ANC has already been removed from a seat of power through an election. This happened in Cape Town in 2006, when the DA won 42% of the vote and managed to put together a fragile seven-party governing coalition. The experience of DA government was sufficiently positive to result in an outright victory for the DA (51.5% compared to the ANC’s 31.6%) in the 2009 provincial elections. By 2011 the DA governed 29 local authorities in four provinces (some in coalitions). Last year’s general election gave the ANC the fright of its life, because the result showed how far the DA’s potential extended beyond the Western Cape, into the heartland of South Africa’s economy. In fact, for the first time, the ANC fell below 50% of the vote in both Nelson Mandela Metro (Port Elizabeth) and Tshwane (Pretoria). In Johannesburg, the ANC managed just 52.3% of the vote and emerged looking distinctly vulnerable. It would be naïve to expect the ANC to be complacent at the prospect of further losses in the 2016 local government elections, now just over a year away. It is worth recalling how the ANC responded to its Cape Town defeat. Convinced that the voters had erred in electing opposition parties, the ANC tried repeatedly, and often illegally, to bring down the DA coalition. Eventually the Courts put an end to the ANC’s illegal “coup” attempts. After its defeat in Cape Town and the Western Cape, the ANC turned to the unbridled use of the “race card” to prevent any more DA victories. Its crude strategy is to divide people on the basis of race, by distorting every event and issue to convince voters that the DA is “for whites” and that the ANC is “for blacks” (broadly defined). As in all parts of the world, this guttural appeal to ethnic nationalism has found traction. But the ANC’s “divide-and-rule” strategy is losing impact. This is partly the result of the “power of example” where the DA is in government. We are able to expose the ANC’s lie that the DA would “bring back apartheid” or “take away people’s grants and pensions” if we won elections. In fact, more and more people are realising that the result of a DA election victory is more effective service delivery, in the interests of the poor. • The diversion of state funds for the ANC’s campaign. Firstly, the IEC: In the 20 years of our democracy, the Independent Electoral Commission (IEC) has been a State Institution that most people trusted to manage elections freely and fairly. Last week, we had a wake-up call when, at a sitting of the Portfolio Committee on Home Affairs, the ANC used its majority to force through a recommendation that Glenton Vuma Mashinini replace Pansy Tlakula (who resigned last year following a property scandal) as IEC Commissioner. Every opposition party on the committee voted against Mashinini, and every ANC member voted for him. The reason for the alarm is that Glen Mashinini just happens to be currently employed as a Special Projects Adviser to President Zuma. The conflict of interest could not be more blatant. Mashinini’s relationship with Jacob Zuma goes back to 2010, when he was asked by the president to form part of a panel to look at reforms in the state-owned enterprises (read last week’s SA Today to see just why the president is so anxious to “reform” these SOEs). He was then hand-picked by the president in 2012 to advise him on big infrastructure projects. And now the President is “deploying” him to head up the running of our elections. This is clearly the next step in the systematic “capture” of state institutions undertaken by Jacob Zuma and his network to protect their interests. After Pansy Tlakula’s departure, President Zuma was determined to add the IEC to his list of “captured” state institutions. 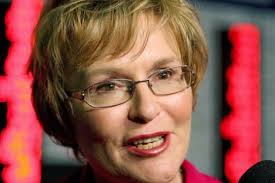 Her resignation (following her failed attempt to clear her name after being implicated in a botched leasing deal) presented the perfect opportunity to bulldoze Zuma’s hand-picked choice through the Portfolio Committee. It is unnecessary to spell out the danger in having an electoral watchdog that is heavily influenced (or controlled) by an increasingly desperate and brazen president. Which brings me to the second, equally ominous signal: the sudden move, by the Minister for Cooperative Governance and Traditional Affairs (COGTA), Pravin Gordhan, to push through a raft of municipal boundary changes in time for next year’s election. In electoral politics, this is such an old trick that we have a special word for it: gerrymandering. This refers to the process of manipulating district boundaries in order to establish a political advantage. Of course the minister will solemnly deny this and offer up noble sounding explanations about the need to combine underperforming local governments with those that perform well. But these explanations look highly implausible. Normally, boundary changes happen over a three to four year period, and are initiated shortly after an election. Determining the outer boundaries of a municipality is an extremely sensitive task. Even when everything is done by the book and in the correct time frame, it can lead to immense friction and violence in the affected municipalities. Boundary disputes often boil over into violence, as we have seen recently in places like Malamulele in Limpopo, Khutsong on the West Rand and Zamdela township in Sasolburg. Once the new outer boundaries have been determined, it can take another 18 months to map out the wards (known as the internal ward delimitation). And only then can you start to compile a voters’ roll and announce registration weekends. So how does one explain that Minister Gordhan has embarked on a new delimitation process of outer boundaries, so shortly before a local government election? The time-frame to complete all the prescribed steps before the constitutional deadline for holding municipal elections by August 2016 (at the latest) is unachievable if it is done properly. No-one believes him when he says he is trying to amalgamate dysfunctional municipalities with properly functioning ones to achieve better service delivery. The best (perhaps only) way to deal with dysfunctional municipalities is for voters to vote the incumbents out of office. This is the ultimate form of accountability, in a democracy. And this is what the ANC is desperate to avoid. Merging municipalities is actually a strategy to prevent any chance of a DA electoral majority (or an opposition coalition) removing the ANC from office in vulnerable municipalities in the 2016 election. The process started some while ago with a proposal to merge the only Gauteng-based DA local government, Midvaal, with Emfuleni, in the hope of handing the municipality back to the ANC. Mogale City (Krugersdorp) on the other side of Gauteng faces a similar fate, as the minister proposes to merge it with Westonaria, Randfontein, Merafong and Carltonville, to form a new metro. Similarly, in the Eastern Cape, the minister wants to join the DA-run Baviaans with the ANC-run Ikwezi and Camdeboo municipalities to form a single council. Both Baviaans and Camdeboo are tightly contested and have been targeted for DA wins in 2016. But if they end up in the same municipality as Ikwezi, a DA win becomes highly unlikely. And that exposes the real purpose of the delimitation. Our third threat to the 2016 election comes in the form of campaign financing. Running an election is eye-wateringly expensive, and our fundraising department works tirelessly to ensure that we can bring the DA’s offer to every community in South Africa, and monitor every voting station to prevent vote-rigging on election day. The ANC, on the other hand, has found itself a seemingly bottomless pot of money in the government’s recently announced “Back to Basics” programme, which has been presented as “an action plan, to strengthen local government by getting the basics right”. Of course, this programme has a substantial communication budget, and this is where government conveniently abandons all semblance of separation between party and state. Millions are spent by the State on these communication campaigns – boldly presented in the ANC’s “corporate identity” and often emblazoned with a photograph of President Zuma. In the run-up to elections, government successes and projects are trumpeted on leaflets, posters, billboards, press ads and vehicles in unmistakable yellow, green and black, often using ANC election slogans. In 2013, the Gauteng Provincial government – which has an official colour palette of gold, blue and grey – spent more than R2 million a month of taxpayer’s money on 51 billboards across the province that featured black text on yellow backgrounds with additional green text blocks. Now we’re beginning to see the same yellow, green and black “Back to Basics” advertising in provinces like KwaZulu-Natal. I have no doubt that the “Back to Basics” campaign has been designed to support the ANC’s election strategy – giving it access to the same endless supply of resources that State Owned Enterprises rely on. We believe that all these strategies are unlawful and unconstitutional, and we will fight them with whatever means we can muster. Exposing the truth is just a first step. It is essential that we enter the race for 2016 on as level a playing field as possible. The DA is determined to ensure that South Africa remains one of the world’s few genuine success stories in the transition from authoritarian rule to democracy. The ANC is merely following the example of the DA led municipality in Mossel Bay which in the 2011 local elections printed a glossy leaflet (with ratepayers money) to celebrate their successes. This was included with our monthly municipal account.